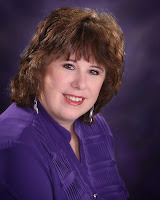 Laurie Here - Contemporary Fiction and MORE - Book Reviews: BOOK BLAST! 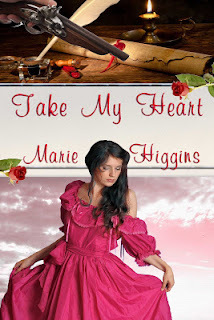 + Guest Post of "Take My Heart" $25 Amazon GC Giveaway! BOOK BLAST! 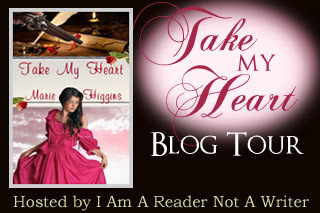 + Guest Post of "Take My Heart" $25 Amazon GC Giveaway! I was born and raised in America, and it occurred to me that I have only known America’s side about why the Revolutionary War started. I have written a few stories about the Colonial era that of course centers around this great war, and my stories are more about the Loyalists. For this blog, I decided to put my feet in the shoes of those on the other side of the ocean to see what may have been going through their minds during this time. Colonists galvanized around the position that the Stamp Act of 1765, imposed by Parliament of Great Britain, was unconstitutional. The British Parliament insisted it had the right to tax colonists. The colonists claimed that as they were Englishmen, that taxation without representation was unfair. The American colonists formed a unifying Continental Congress and a shadow government in each colony. The American boycott of British tea led to the Boston Tea Party in 1773. London responded by ending self-government in Massachusetts and putting it under the control of the army with General Thomas Gage as governor. So now the real question is…why did King George III do this? Why would he want to rule so harshly over the thirteen colonies? I started thinking of this as a mother—since it’s hard for me not to. I’ve got rules in my house, and if my children don’t follow my rules, they are punished. I have two daughters; each one is very different in the way they responded to my rules. One of my daughters obeyed pretty well, while the other was my rebel from the age eight or nine until she was 16… Oh wait a minute. She’s 24 now and still a rebel. LOL! When I put myself into King George’s shoes, I can see that he must have thought of us as his children. The thirteen colonies were so far away and so they did not live within the king’s rules. Because we were so far away, we wanted to do things ourselves. We wanted to be independent and thought we could create better rules. And…since we were across the ocean and were not watched carefully like unruly children, we were able to become rebellious. My youngest daughter fought me every time she turned around. She won, of course, because she was so tired of my rules that she moved out of the house and started her own life when she was 16 yrs old. Therefore, if I compare what happened in my own family to what was going on before the Revolutionary War, everything makes sense. Was King George III right—or were the thirteen colonies in the right? I suppose it depends on which child you were. Right? I’d love to know what your thoughts are on this subject. You are VERY welcome, Marie! Thank YOU for writing the Guest Post about your book for my blog for everyone to read about and learn MORE! Your book sounds very good, and has to go on my TBR list! Thank you SO much for stopping by my blog, too! It's MORE than a pleasure to have you! Thank you, again, for your Guest Post! It brought up some very interesting conversation and thoughts! It was truly a pleasure to have you here, and I hope you come back by again! And, soon! When we lived in England, they still called it The War of Colonial Agression. However, during the period, there were many in England who thought George III was wrong in his handling of the war. I think his madness might have played into it. Great post Marie. I tweeted. Wow! It's super neat to hear England's side of the war, and why - George III handling the war wrong because if I recall, he had syphilis, which messes with the head, as you say he had madness. He also had some sort of stomach issues, too, yet lived till he was 82! Amazing living that long with all those very serious health problems! Although, the war resulted in many casualties, unfortunately, from his madness. Sad thing. I wonder how things would have differed had there not been a war? Hmmm? Thanks SO MUCH for sharing what England thinks about that time! How VERY interesting! Marie, that was interesting point of view. I wrote a Revolutionary War romance, and I hadn't thought about how and why they felt the way they did. Thanks for coming by and commenting to Marie! SO nice to have you here! Yes, there are many different ways of looking at things, and some we don't even think of except perhaps one person! Isn't that just amazing!